I listened closely, trying to focus on the music muffled by conversations all around us. But I couldn’t make out whatever it was she wanted me to hear. In that instant, I felt like I was doing something right. Her mind was being filled with truth, despite all the times I talk too harshly or expect too much. Mixed in with my mistakes are the moments she remembers singing praises to our Creator. Real life is full of messes and miscommunication. But truth can still prevail. Getting the messages that matter to be heard of the chatter of this world can be hard. But Cate reminded me last week in a booth at Chick-fil-A that it’s worth continuing to try. Life is busy, but there’s always ways to fill your mind – and your kids’ minds – with messages that matter. We listen to Christian music in the mini van we drive through life. We’ve been reading “Jesus Calling: 365 Devotions for Kids” on the slower summer mornings. Cate also has her own Bible – not a storybook Bible – for the first time. 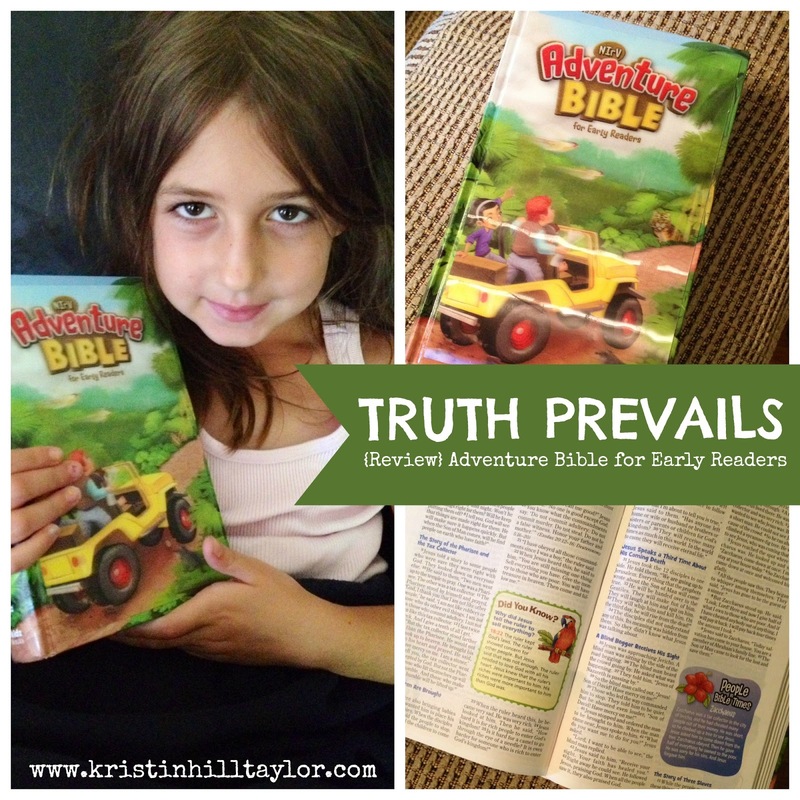 “Adventure Bible for Early Readers” is working out well for my girl, who is an avid reader. It’s recommended for kids ages 6-9. It’s a NIrV translation and our version has a fancy 3D cover that my 4-year-old boy loves. So, yes, I’m sure it’ll be passed on to him at some point. Inside, “Adventure Bible” has special features, including “Words to Treasure” to encourage memory verses; “Did You Know?” boxes that point out interesting facts; blurbs about people and life in Bible times; a dictionary; and the standard book introductions, subject index, charts and maps. These features are what Cate loves when browsing the Bible herself. Cate went to church camp for the first time this summer and took her new Bible with her. She liked being able to look up the theme verse in her own book and I realized the page with Philippians 3:12-15 is still dog-eared. Bible storybooks and children’s devotions serve our family well. They are filled with stories and truth we want our kids to know as the foundation of everything else. We’re glad to add this children’s Bible to our life. Cate realizes there is something special to having the word of God in her hands, her mind and her heart. And sometimes she hears a cue and sings about it. I received “Adventure Bible for Early Readers” for free from BookLook Bloggers in exchange for an honest review. These are my real opinions only influenced by what my daughter had to say. This post also contains Amazon affiliate links. 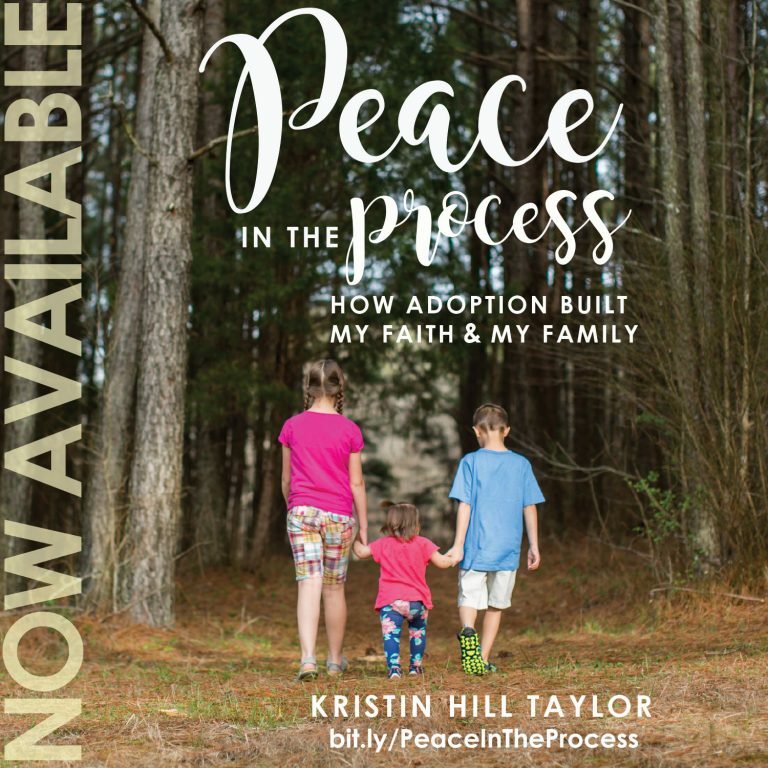 I’m linking up today with Lyli Dunbar for Thought-Provoking Thursday. We have this Bible, too, and Annalyn LOVES it! 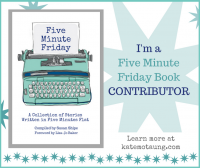 I just found your blog on the Compassion bloggers site! 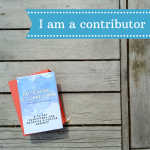 I just joined in and hope to blog a min of once per month on my sponsorship! I look forward to following you! Yay! We love Compassion around here. 🙂 Thanks for stopping by and following along.